Last night after counting my winnings, I couldn't believe the line at "the Dog of Bo" had Bron getting MFin points! Just like Keeley, King James gettin' points is picture perfect! With that, IP.com's #1 Iowa scout has produced more inside info than Blago's nanny throughout the college pigskin season. And following Gene Shiznit's Noxzema girl from 90210-crazy exit from Ames that same scout (aka my Homeboy Drew Donkulous) needed to vent. 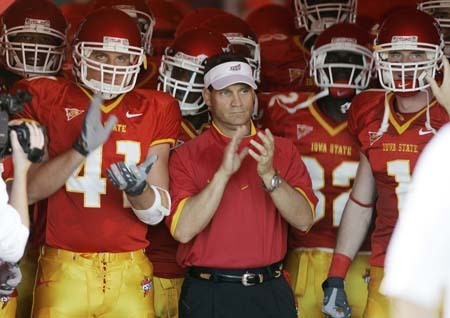 As for Greggy G's opinion, I believe Shiznit knew he was leaving in the fall...that's why ISU sucked more than normal! 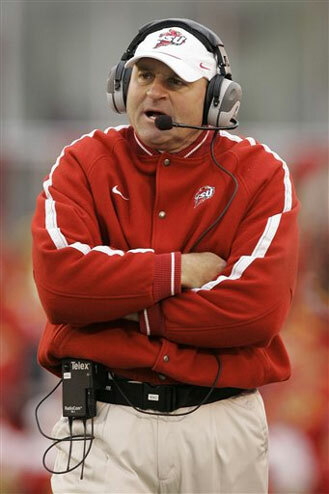 Anyone who thinks Gene Chizik is disloyal and treated Iowa State University badly should just call Dan Mc Carney and ask him about loyalty. Mc Carney who really brought ISU football back into conversations around the the Big 12 and the Midwest (especially Iowa City) was forced to resign by AD Jamie Pollard two years ago. Dan Mc Carney may have had only a 55-84 record in Ames but brought the enthusiasm and energy to ISU football that they had not seen in a very long time. Dan Mc Carney got more out of his players than about any coach I have ever seen. Of course all the enthusisasm in the world won't keep your job in this business. So now it's time for Mr. Smoke & Mirrors Jamie Pollard to conduct another super secret job search and find his next "prodigal son"...and he better get it right this time! There are only so many smoke machines, inflatable football helmets and crappy music you can put on the football field before you are going to have to put an actual football team on the on the field. Pollard asking for more money from boosters and fans is going to fall on deaf ears if he does not get it right this time. ISU fans deserve better. He better put together an iron clad contract with a hefty buyout to keep his coach in house. So where does ISU go from here? I suggest they call Tommy Tuberville. Undefeated in 2004 (13-0) and unemployed today. Good luck with that Gene Chizik! ...how funny is it that we have the same undies! Like her finger, I need to search for more good stuff! This page contains a single article from December 18, 2008 10:52 PM. The previous days article was Thursday Night ATS Football Spectacular. The next days article was INSIDEPLAYS COLLEGE BOWL ATS.